Is that confetti in your hair? 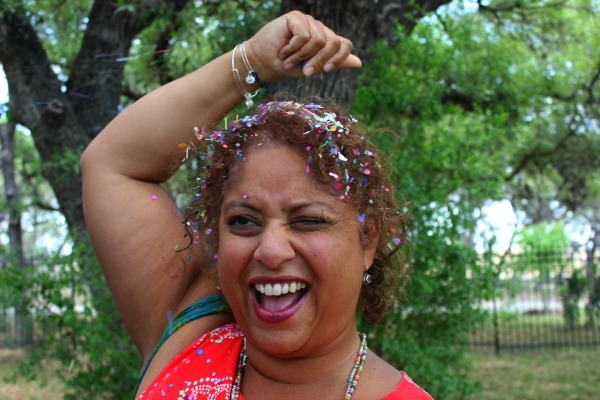 I learned about another tradition of San Antonio’s Fiesta – making and sharing cascarones. Made for Easter, Fiesta and any celebrations, its a simple yet fun creation. Sold at stores throughout the city, cascarones are also quite easy to make. 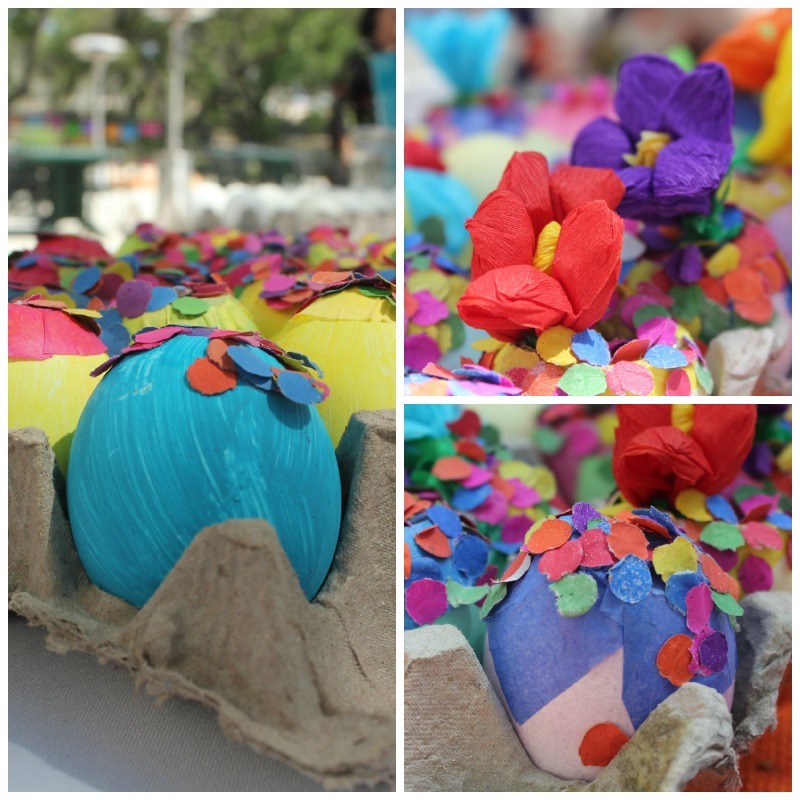 A chicken egg is drained of its yolk and using crepe paper, paint, markers, glue, confetti, glitter, ribbon and flowers, the egg is painted or dyed, filled with confetti and then decorated. But they’re not made to be admired – they’re made to be cracked. And the proper way is to have someone else crack the egg in their hand over your head – not on your head. So you’re blessed with good luck by friends and family.